So I'm still trying to work out what morph of snake I want to buy, and I've discovered that I'm really in love with GHI Mojaves. I adore really dark snakes and those yellow markings are just fantastic. However I've really only seen baby photos of them, and knowing how bps tend to work I wanted to know of they end up getting a lot lighter/faded out as adults. I know they'd fade out a little at the very least, but to what extent? Do they stay dark or do they get a lot lighter? I'd love to hear from you guys, and any pics you have of adult GHI Mojaves would be amazing! Last edited by Pancake's Momma; 01-10-2019 at 03:21 PM. I love the Mojaves bright color as well! 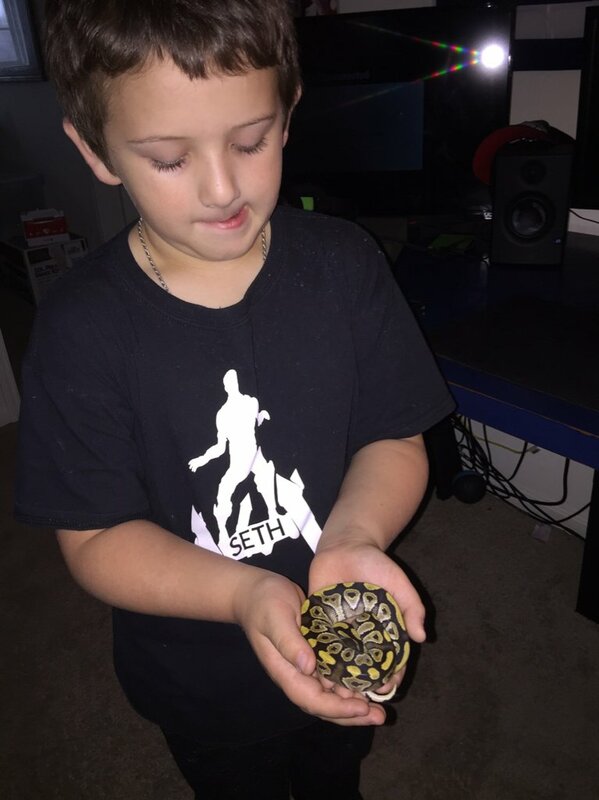 My 9yr old son actually picked him out at the repticon show. While he's not an adult, just figured I'd share a Pic anyway.